Dell compatible XFP transceiver support Ethernet, SONET/SDH and Fiber Channel applications across all Dell switching and routing platforms. 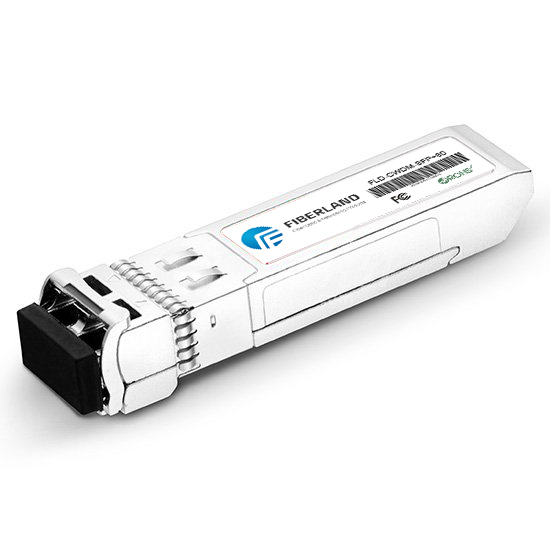 Fiberland offers cost-effective standards-based Dell Compatible XFP Transceivers. As a 3rd party OEM manufacturer, our Dell XFP is delivered to worldwide from our factory directly. All of our Dell XFP optical transceivers are tested in-house prior to shipment to guarantee that they will arrive in perfect physical and working condition. Buy with confidence. Our NEW Dell 320-5164 Compatible 10GBase-SR XFP Transceiver Module can be used in 10G Ethernet, Metropolitan Area Network, Building Vertical Riser, Inter and Intra Campus Data Centers and Other Optical Links. Fiberland is a professional manufacturer & supplier of transceivers. All of our transceivers are tested in-house prior to shipping to guarantee that they will arrive in perfect physical and working condition. We guarantee transceivers to work in your system and all of our transceivers come with 1-3 years advance replacement warranty.